NEW YORK—Shedding new light on the environmental factors influencing women’s views of royal privilege and responsibility, a study released Friday by New York University’s Department of Psychology found that the majority of girls who play princess develop skewed and possibly unrealistic perceptions of the role of the modern monarchy in a democratic society. “Children are highly impressionable, and participating in royalist role-playing of this nature tends to reinforce regressive conventions, particularly regarding how the sovereign’s daughter promotes national unity and performs her duties in the dynasty, duties which today differ greatly from what they once were,” said lead researcher Dr. Susan Allyn, noting that 94 percent of preadolescent test subjects participating in the scenarios “Teddy Bear Tea Party” and “Ball Gown Dress-Up” internalized traditional but outdated notions about a junior head of state’s ambassadorial responsibilities when their present-day functions are in fact more likely preserving cultural heritage by representing the Queen at public-facing events within, rather than outside, the kingdom. “Conversely, two-thirds of participants who never role-played as Rapunzel or Cinderella demonstrated, through their treatment of Grand Vizier Teddy-Bear and Countess Cottontail, a rudimentary but progressive understanding of how a Royal Highness’s ceremonial and legal powers within the State vary across the 44 monarchical nations while still generally leaning towards the embodiment of national identity, if merely as a figurehead. 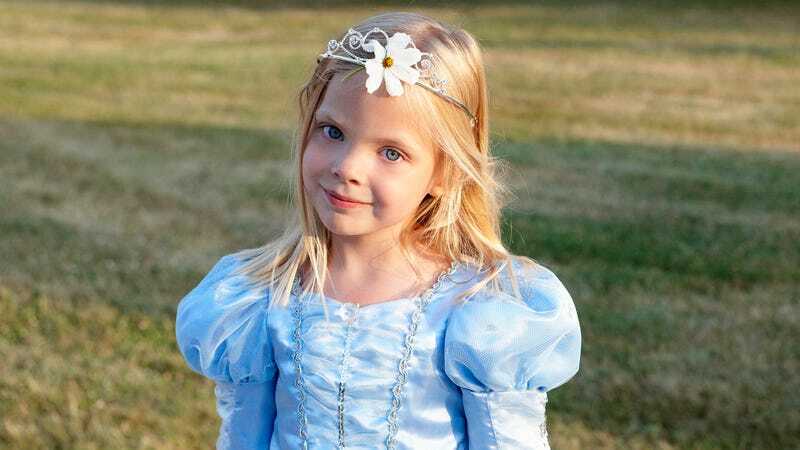 These girls were, for instance, much more likely to go through life with a general sense of how the crown in Islamic monarchies tends to retain more political power than in its European or Commonwealth counterparts.” The study also found that girls who play princess typically grow up with a distorted sense of the role played by magic wands in a contemporary post-industrial economy.